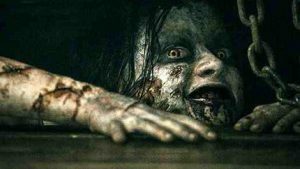 Boomstick Comics has teamed up with studios behind the new ‘Evil Dead‘ film to giveaway 10 passes (good for two people each pass) to see the scariest film of the year so far, ‘Evil Dead‘. This contest is only available to people in the Dallas/Ft. Worth area. We here at Boomstick, of course loved the remake as you can read HERE. We will be giving away free passes to see the film along with a free ‘Evil Dead‘ or ‘Army of Darkness‘ comic book. Comics are randomly inserted with the prize and are courtesy of Boomstick Comics. Send me an email to boomstickcomics@gmail.com with subject line “EVIL DEAD IS MY LIFE” and tell me in a few sentences how big an ‘Evil Dead‘ fan you are. Bonus points for telling me how fond of Bruce Campbell you are. Winners will be announced Monday the 8th. You can also enter by commenting below in the comment section of this post, but be sure to add a valid email so I can contact the winners. This entry was posted on Thursday, April 4th, 2013 at 1:35 pm	and is filed under Film, News. You can follow any responses to this entry through the RSS 2.0 feed. You can skip to the end and leave a response. Pinging is currently not allowed. « Film Review: ‘Evil Dead’!! !